When you run a professional cooking operation, you need a commercial dishwasher machine. You are going to have a lot of items that need washing and it must be done well. The pots need to be fully clean with no additional flavours that will contaminate the quality of the tastes you create in your food. Glassware must be thoroughly cleaned and left clear. Large numbers of dishes need to be washed and dried as quickly as possible. One of the issues in a busy kitchen can be making sure that you have enough pots and pans for cooking. It is not possible to have an endless supply of clean pots stored in your kitchen, so it is important that washing is able to be done efficiently and effectively during cooking activity. This means that you do not require a lot of extra equipment on hand and you can also keep your kitchen operation running very smoothly. Gone are the days when you needed to use a pot washer who would do all of the washing by hand. 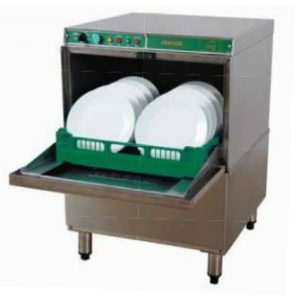 There will still be some cooking pots that need more involved washing, but by installing a quality pot washer machine you will be providing the cleaning staff with the best way to keep up with the activity in the kitchen. You will ensure that you have adequate pots ready even during the busiest periods of activity. Some of the brands we sell are Eswood, Hobart and Lamber Dishwashers. At Clem Tech we understand how important the cleaning function can be as part of running an efficient kitchen. We have investigated a range of pot washer equipment to identify suitable machines. If you are looking for the best commercial dishwasher Melbourne has to offer, then speak to us today. It is important that you choose a commercial dishwasher that is going to be able to provide you with the level of performance you need. You do not want to choose equipment that has capacity well beyond what you need. 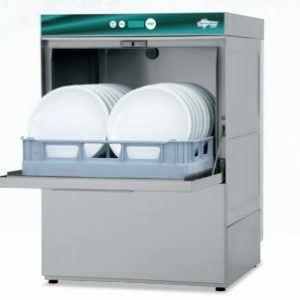 But it is also very important to not choose a commercial dishwasher that does not have enough capacity as this could severely hamper the ability of your staff to perform the washing at their best when things get very busy. 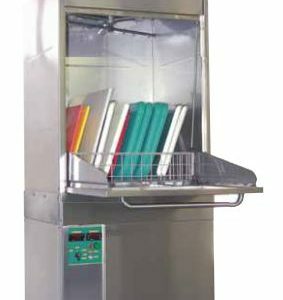 Other equipment you may need to consider as part of your operations are glass washing machines. These can provide you with specific washing capabilities that ensure your glassware is washed well and reduces the possibility of clouding, scratching, and marking. It is important that your glassware is pristine clean. We are able to make assessments to find the best glass washer commercial operations could need. Contact our friendly staff today by calling (03) 9338 3071.We will be able to assist you in clarifying what your specifications are and identifying the equipment you need to meet your requirements.